Series of clean, modern titles and an opener for any sort of fashion or style video. 0:40 long 1 title with logo 6 text placeholders Adobe After Effects CC 4K and HD Video/pictures/audio NOT INCLUDED. Audio: https://www.pond5.com/stock music/61938061/fashion show loop.html Fonts Included! Video tutorial included! 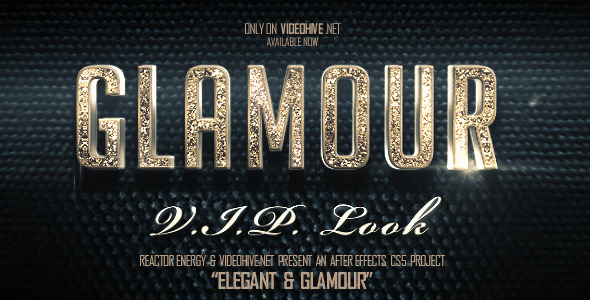 Cool, modern, explosive, glamorous After Effects project file. Fast, modern, camera movement, explosive particles and flashes of light. Comes with two versions, one with prerendered elements and one with the otiginal layers if you have trapcode Particular and VideoCopilotu0027s Optical Flares. Elegant Metal. 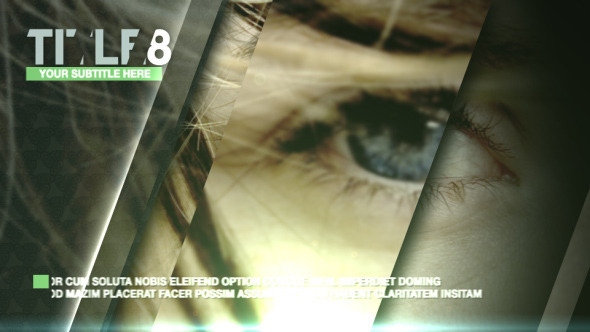 Monster For Powerfull Computer With Audio After Effects CS 5.5 1920x1080, 1280x720 Nice and Elegant text. With all plugins, without prerender. If your computer weak, you should use my similar project » Elegant Metal with audio Audio included! After Effects CS3 or Higher Full HD Resolution (1920x1080) No Plugins required 10 Seconds, 25fps 3D text animation with clouds and golden titles Easy Customize For more info contact with me.